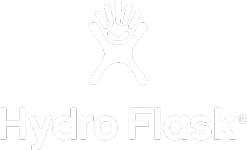 3-day event, 14 day holding window.  World Surf League (WSL) Men’s Qualifying Series (QS) 3,000 rated competition. 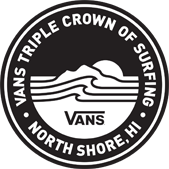 Official qualifying event for Vans Triple Crown of Surfing. 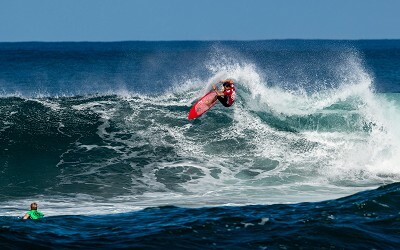 9 local surfers earn VTCS qualification. 2017 HIC Pro event winner: Ezekiel Lau (Honolulu, Oahu). 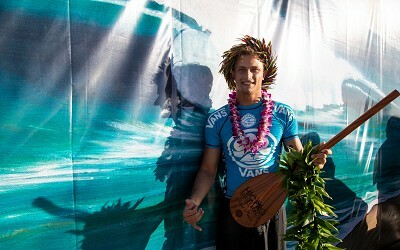 Men’s and Women’s WSL Hawaii/Tahiti Nui Regional Champion crowned during awards ceremony. 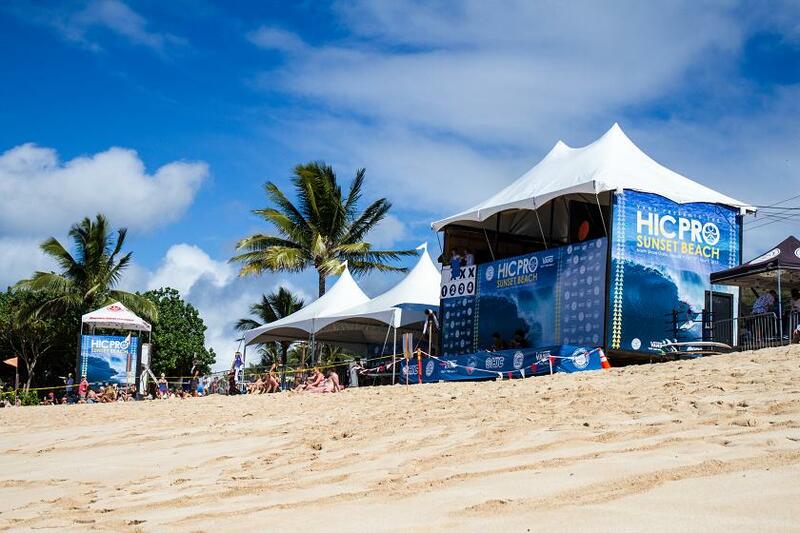 The HIC Pro annually kick-starts the North Shore’s competitive surf season and is characteristically graced with monstrous surf and high drama. 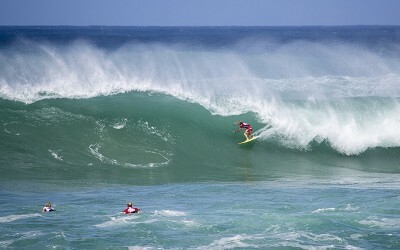 The event takes place at Sunset Beach, which is one of the world’s most preeminent deep-water big wave spots that spans across a stadium-sized playing field. Endurance and wave positioning are paramount to coming out on top at Sunset, and with 112 formidable competitors vying for first place, the HIC Pro dishes up high-level performances from Hawaii’s best athletes. 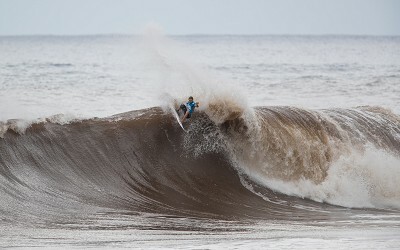 Regional surfers are provided the opportunity to compete for a slot into the coveted Vans Triple Crown of Surfing, along with the occasion to surf at home in Hawaii for more points toward higher Qualifying Series (QS) standings and regional ratings. 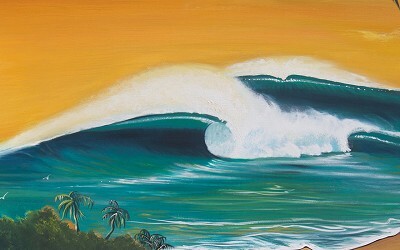 Sunset Beach is heavily regarded as one of the most powerful breaks in the world. With a lava rock reef and handful of different take-off zones and wave sections, surfers test their knowledge of the lineup and mettle against mother nature. Endurance is a key factor in tackling this wave, since the playing field is roughly the size of a football field and athletes can easily get caught inside or swept away from prime positioning spots. The curved bay of Sunset Beach creates a natural viewing arena, however surfers sit a good distance away from shore and binoculars are always recommended to get a close up view of the action in the lineup. 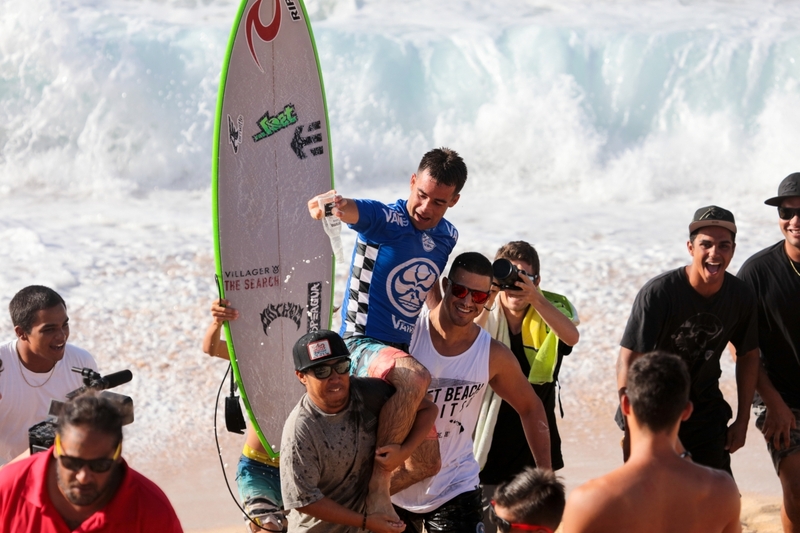 The HIC Pro crowns an event winner, qualifying slots into the Vans Triple Crown, plus the Regional Hawaii Qualifying Series (QS) Champion. This athlete earns a berth into all top QS events for the following year as well as a $5,000 travel award from Vans, which helps offset the expense of traveling to QS events around the world. A long-standing tradition for Hawaii surfers welcoming the start of the big wave season, the HIC Pro kicks the spirit of competition into over-drive and honors Hawaii's top talent.